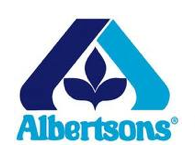 Here are the best deals this week at Albertsons grocery stores! Sign up for Albertsons email savings and get $5 off a $25 purchase. For a complete list, visit our Albertsons expert Kerri at Save at Home Mommy! Save $5.00 when you buy any combination of 10 participating products in a single transaction using your Preferred Savings Card. Includes: Chex Mix, Gardettos, Nature Valley Granola Bars or Thins and Fiber One bars or brownies. There is also a current Catalina Promotion on the Nature Valley granol bars AND the Fiber One products. Catalina coupon to use off your next purchase through 7/10. Final Price= all 5 for $.75 or $.15 each!